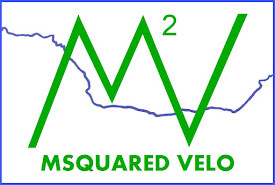 MSquared Velo: Day 45, 46 and off 3 days in Denver: I CLIMBED MOUNT EVANS! Day 45, 46 and off 3 days in Denver: I CLIMBED MOUNT EVANS! I felt the crisp air hit my face as I stepped outside of Fireside Inn and drew in a deep breath. With the temperature just touching 60 degrees, it felt like an early fall day. Aren't those the days you feel most in touch with nature? When you can feel the cool air enters your lungs and the breeze tastes as fresh as stuffing your face into the still warm towel right from the dryer? Waking up and walking outside in gorgeous Breckenridge is a real treat. I headed north onto a greenway that would take me to Frisco for 8 miles until I turned east on highway 6 toward Idaho Springs. AKA the base of Mount Evans. The greenway is gorgeous and quite possibly my favorite bike path of all the bike paths... Little did I know what was in store for me. Once on highway 6 I began my first climb for the day. As I made my way up Swan Mountain, cyclist upon cyclist are flying down and passing off head nods as they finish their descent. There are lots and lots of cyclist in Breckenridge. It's great. I even got to speak with a few as they passed me on their way up highway 6. Let's not forget about the views of Dillon Reservoir and the surrounding Rockies. Once at the top of Swan Mountain I spoke with a cyclist about my upcoming Mount Evans climb. He then warned me that I still have to get past Loveland Pass. This was not the first time I heard this, probably the 4th. Now I really realize I am not just going to float to Idaho Springs... not just yet at least. Until then, I will keep enjoying these views! Once over Swan Mountain, I enjoyed a spectacular descent onto my newest favorite greenway. Not only surrounded by mountains, evergreens and a river, but I got to ride through a golf course and yell, "Get in the hole!" to an old foursome teeing off. Once I reluctantly left this greenway, I made my way down highway 6 the start of the 8 mile climb up Loveland Pass. Even though this is a huge climb and there is no rest for 8 straight miles, its a slow incline and allows for a good rhythm to develop. As I have said before, the Appalachians were not forgiving like Rockies. I took my time up Loveland Pass riding at a high cadence so I wouldn't wear myself out for tomorrow. I crept my way up to the summit of 12,000 feet noticing the sparsity of trees start to develop. Per Wikipedia, the tree line in the Rockies ranges from 9,000 to 11,600 feet. Despite this, my breathing felt fine! Again, I was not exerting too much effort, so heavy breathing was never required in the first place. Another successful climb which means... ANOTHER BIG DESCENT! Let's go Jasper!! It was a quick ride down highway 6 and I almost flew by a right turn that would take me on my new favorite greenway. For a moment I thought the descent was over, then the Bakerville Loveland Trail turned down hill. Bakerville trail was a blast. I bolted through the evergreens over 35 mph, dipping in and out of turns like a pro. No roller coaster could replicate this feeling. The whole rest of the way to Idaho Springs was downhill. A glorious and gorgeous ride along Clear Creek. The mountains turned into cliff faces to the north and south as I raced the river east toward Denver. I grabbed a late lunch in historic Georgetown, CO. A cute little town stuffed in between the mountain faces and Georgetown Lake. Georgetown is an original member of the Colorado Gold Rush in the late 1850s. Another perfect time to stop. The threatening clouds let loose as I stepped inside of Happy Cooker. When the rain cleared I rode the final 12 miles to Idaho Springs with barely a pedal. I then went motel shopping until I found the cheapest room in Idaho Springs. I wanted a room to leave all my bags, tent, sleeping bag, etc in so I could climb Mount Evans unburdened. I ate my joke of a dinner (two ramens, PB wrap, peanuts and beef jerky) with Livi via facetime. It was a lovely date that cost me nothing! I then prepped breakfast and made sure everything was ready to go for the big climb tomorrow morning. Alarm 5:14 - I ate more peanut butter, heated instant coffee mixed with ensure, quick oats and dried fruit and a knock-off Five Hour Energy called Tweaker. Out the door at 5:57 and turn onto Highway 103 after a quick "warm up" mile to begin the 28 miles climb. At 6:15 I reach mile 3 thinking... this is going to be tiring. Only 30 minutes later around mile seven, I am finally feeling warmed up and begin to get in a good rhythm. Also... I'm already a quarter of the way done! After an hour and ten minutes I began to approach 10,000 feet at mile 11. The road started to open up over the surrounding mountains and the beautiful views began. Those are the views that get me excited and that is when I start to feel the adrenaline. Much needed adrenaline to ignore my toes which are already beginning to freeze. Nobody on any websites told me to wear two pairs of socks! I think Livi jinxed me last night. She did not believe I have not had to go in the woods to drop a deuce yet. Now I feel like that moment could be approaching and I left my emergency TP behind. I won't make it another few hours up this mountain. Luckily I happen to know Echo Lake campsite was coming up soon around mile 13 and I would probably make a pit stop. I did, and it was quick. I don't mean the poop, but the pit stop in general. The bathroom was right next to the road so I was in and out. I knew Echo Lake was approaching because I thought about staying here last night and making the climb from here. I am glad I didn't. That's cheating... and if I'm gong to climb any mountain, it's going to be the full mountain, in one effort; the right way. Once that was taken care of, I was back on the bike and feeling great. I took the right turn past Echo Lake Campsite and onto part two of the climb, highway 5. This is when it got freezing and I gave in and threw my rain jacket on. Now I am just past halfway around 11,000 feet after almost 2 hours. The fastest person up Mount Evans would have been done about 10 minutes ago. As the tree line approached so did the morning fog... or are these clouds? Breathing and climbing was still fine, but breathing, climbing, eating and drinking was a different story. I stopped for a cliff bar and water at mile 22 with nothing but fog, rocks and the road in front of me to look at. Then all of a sudden I am reaching speeds of 15-20 mph. It feels like I am on a flat part of the mountain and am able to get serious momentum... but I have no idea whats around me. Spoiler alert, the clouds cleared on my way down and I saw at that part of the climb, I was actually on a pretty significant descent. Being able to see my surroundings on the way down, I can see I was riding into a gorgeous clearing at Summit Lake. Now begins the final few miles up the 11 switchbacks. My adrenaline is really pumping now. I threw on "Power" by Big Gigantic to really get my blood flowing. There were nasty headwinds when I turned right heading west and great tailwinds when I turned left heading east. Back and forth, back and forth, mountain goat here, mountain goat there until I reached the summit! Numb toes, numb fingers all forgotten. I made it to the top among the cars and people snugged up in beanies, scarfs, gloves and boots. From a great tip via a blog I read, I had my Patagonia down jacket to throw on and I began my descent. 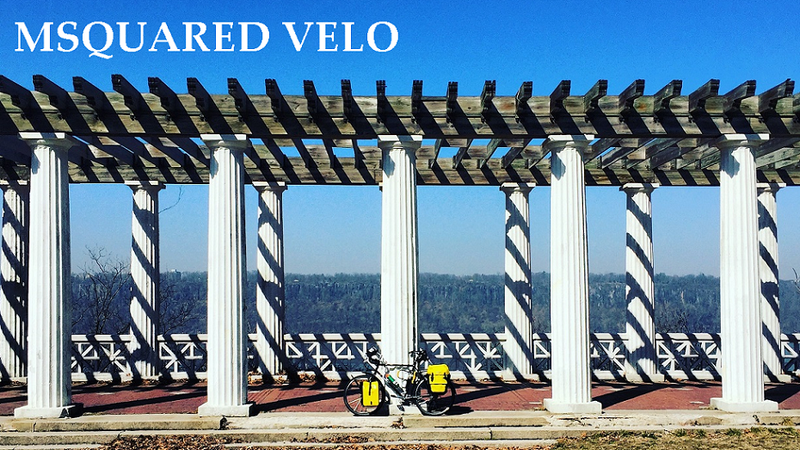 30 miles of straight NO pedaling! Yeah right, I pedaled a lot... I wanna go fast! As I mentioned the fog cleared just as I turned down Mount Evans. It was incredible. I could have taken pictures and videos the whole way down, but eventually I just decided to enjoy the ride. So I dominated Mount Evans... at least I say I did! In 3:49:14 I rode up 6.510 feet over 27.5 miles That is good enough for 1738th out of 2311 attempts on Strava. I'll take it! At the top of Mount Evans I heard a family talking about getting pizza for lunch. As cold as I was that sounded amazing. I thought about it the whole way down. Once I packed up my stuff from the motel I headed straight for the first pizza place I could find and at a whole medium pizza for myself. I rode the remaining 25 miles to Denver without a hitch. Nah just kidding I really screwed myself by not listening to Google Maps... But that is a story for next time. Amber's boyfriend, Willy, welcomed me to their home with a beer and relaxing conversation. It was a perfect way to end a long days ride. Even better, 3 days off in Denver with my best friend and brother, Adam! Amber and Willy are incredible hosts with even better dogs. Taylor, or "T" and Mawgs are super chill dogs that can hang with the best of 'em. Huge thanks to them for having Adam and I this weekend. Thanks to Amber and Willy too. It was amazing to have Adam here in Denver with me. While Amber and Willy were at work, Adam and I got to catch up on the last 45 days of brotherly love through food, beer and baseball. Thank you to my best friend for coming out and making me feel like I am home away from home. I am loving Denver, but can't wait to continue the second half of this journey!